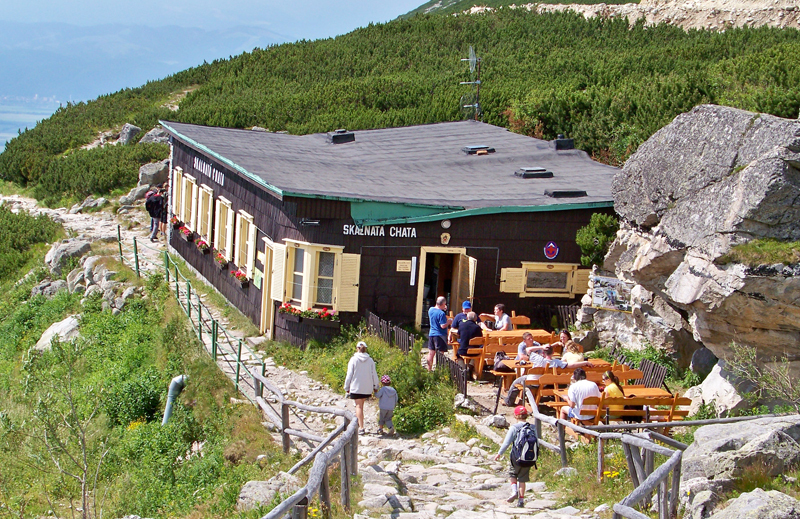 The Zamkovského chata (chalet) can be accessed via tourist track Tatranská magistrála (red trail) from Hrebienok or from Skalnaté pleso. The chalet offers a rest by excellent tea, lunch and even accommodation in four-bed rooms. The chalet is operational throughout the year. The chalet was built in the years 1942-43 by a well-known Tatran carrier Štefan Zamkovský and his wife Ľudmila. Nosičská stovka (June) are held at the chalet every year. Access to Teryho chata (chalet) is via tourist track Tatranská magistrála (red trail) from Hrebienok up to The Zamkovského chata and then along the green trail. The chalet is operational throughout the year. The chalet offers a dining room with a buffet (hot and cold meals) and accommodation. 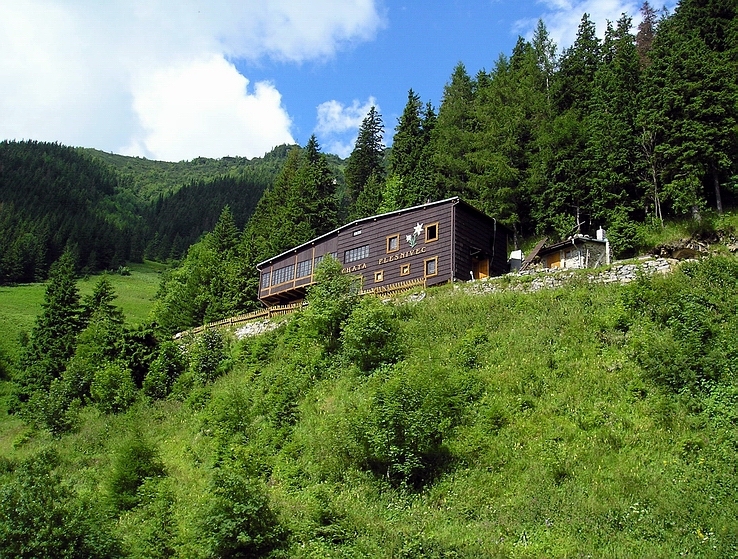 The chalet was built in the year 1899 and has undergone various modifications since then. Zbojnicka chata (chalet) can be accessed via tourist track Tatran magistrála (red trail) from Hrebienok (red-blue trail), from Teryho chata along Priečne sedlo (yellow) or from Prielom (blue). 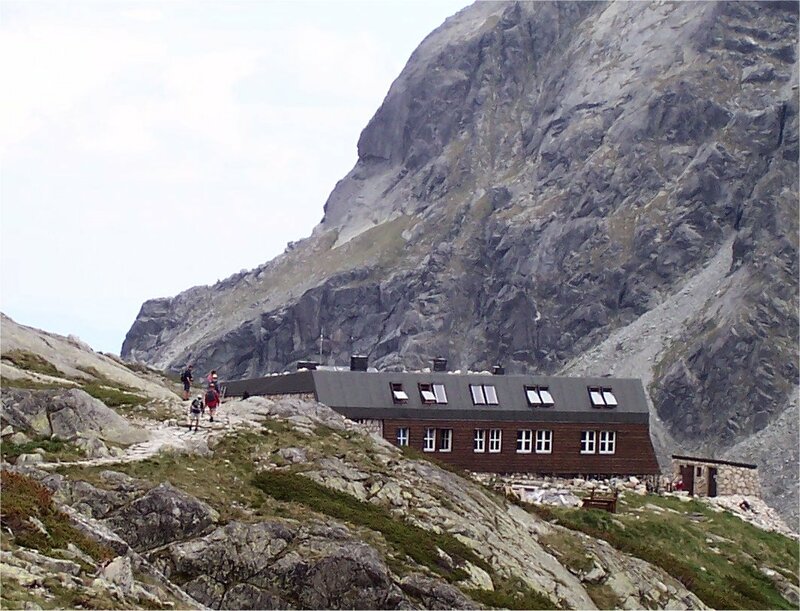 The chalet is operational throughout the year but in winter, it is only accessible from Hrebienok. The chalet offers a dining room with a buffet (hot and cold meals) and accommodation. The chalet was made available to the public in 1910. The chalet was erected in 1924 and reconstructed over the years 1984 - 86. There was a fire there in 1999 but it was renewed and has been operational since then. The chalet can be accessed from the chalet at the Popradské pleso (blue, red trail). Chalet is not open throughout the whole year. It is closed during winters. 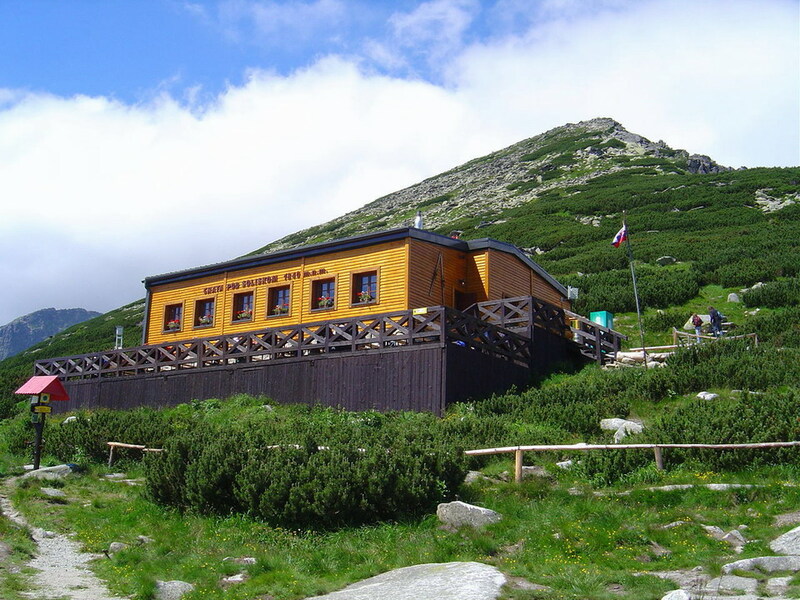 The chalet is the highest located Tatra chalet. It was built over the years 1931-32. Its opening was celebrated in 1933. It was, for the first time, reconstructed in 1954 after being damaged in an avalanche. The, originally, one floor object was extended by another floor in 1977. The chalet can be accessed from Biela voda - stop (yellow trail), from Skalnaté pleso (red trail), from Tatranská Lomnica (blue, green, yellow trails), Tatranská Kotlina (red, green). The chalet offers accommodation and board. It is operational throughout the year. The chalet's predecessors were Egid's chalet I and Egid's chalet II (y.1880, y. 1884). After the second chalet burnt, Fridrich's chalet was built on its ashes. Fridrich's chalet was over years 1926 - 1932 extended and its pre-war name gradually began changing until the today's form. 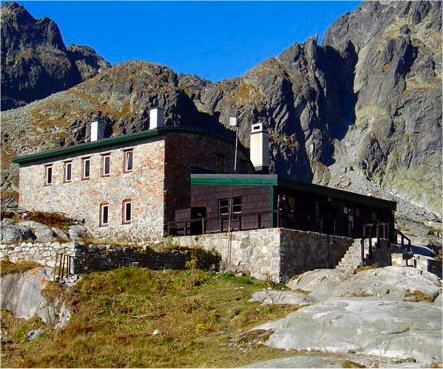 It was renamed to Brnčalova chalet in 1952 and it has carried the today's name since 1992. 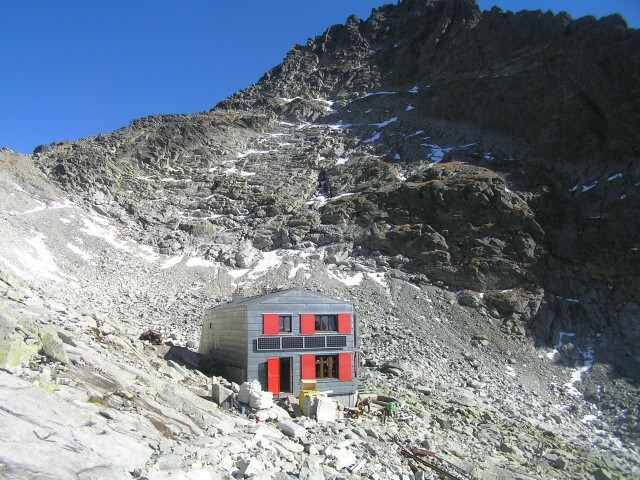 The Rocky Chalet can be accessed from Skalnaté Moutain-lake (red trail) and from Hrebienok (red trail). 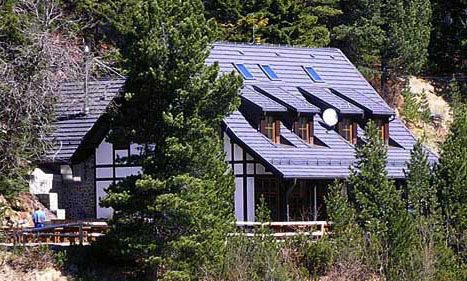 The chalet offers board and accommodation. It is open throughout the year. The chalet can be accessed from the Popradské pleso (Tatra Electric Railway stop and a parking lot, blue trail), from Štrbské pleso (red trail) and from The Sliezsky dom (red trail). The chalet offers accommodation and board. It is operational throughout the year. It was reconstructed into a mountain hotel over the years 1958 - 61. It has, since then, undergone several, mainly interior reconstructions. Chata Plesnivec (chalet) is accessible from Tatranská Kotlina (green trail), from Chalet at Zelené pleso (green, red trail), from Tatranská Javorina (green, blue trail). The chalet offers accommodation and board. It is open throughout the year. First mention of the chalet is from the 18th century. Spišská Belá first rented the object in 1932 and the tenant built the Chalet Plesnivec. The chalet belonged to TANAP from 1953 till 1993. The original owner has been maintaining it since then. It has been open to public since 1993. 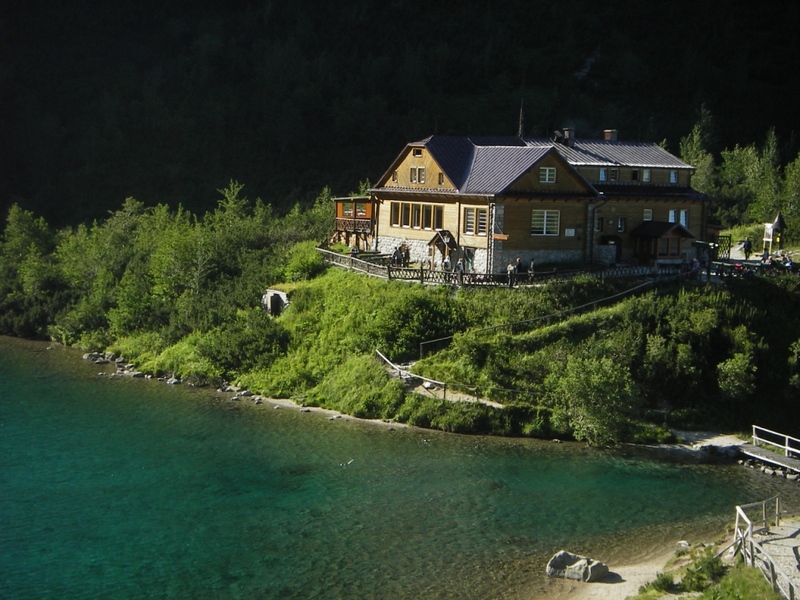 The Majlathova chata (chalet) is accessible from Strbske Pleso (green, red trail). From the tram stop Popradské Pleso on a road marked with blue color. The original Majlathova chalet grew up in a ball in 1879. In 1881 it was replaced with the equally large stone building and in 1892 restored again and later extended to tourist hostel. These buildings served until 1961, when it was launched into operation a new tourist hotel. Reconstruction of the original Majlathova chalet began in 2006 at its original location and final inspection took place in late 2010. 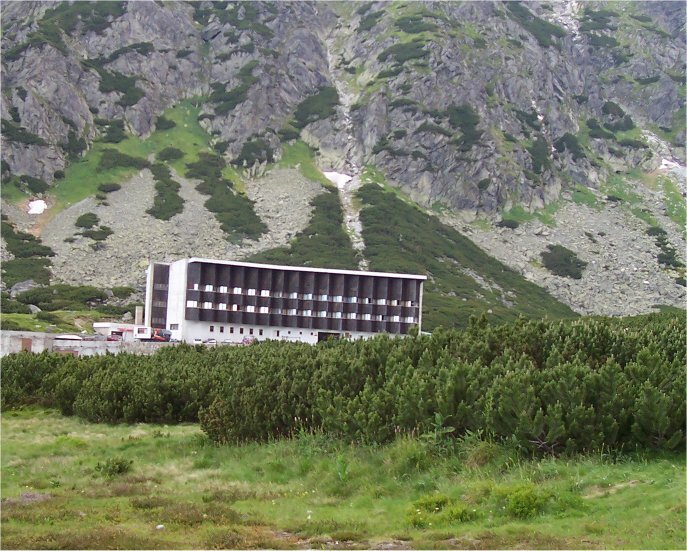 Chata pod Soliskom (chata) is located on the Predné Solisko slope of 1840 meters, right above Strbske Pleso. 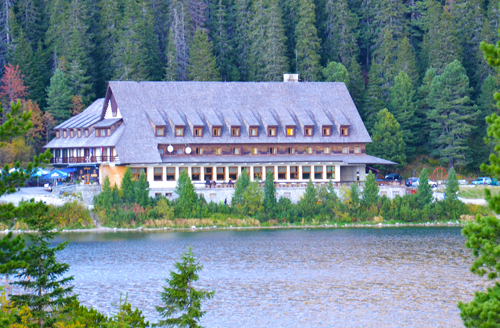 The chalet can be accessed from Strbske Pleso (blue trail). Chalet provides warm meals, drinks, and accommodation information year-round (24 hours). The chalet was built in 1944 as a relaxing place for the longest ski lift in Czechoslovakia. In the following years, during the long winters, chalet served as the logger for the workers from Chalet below the Rysy peak. Solisko chalet was recently renovated in 2016. We have been providing accommodation in the High Tatras for more than 10 years. We're people from the High Tatras. We offer accommodation in facilities with which we have good experience and know them. We guarantee fast response by booking.